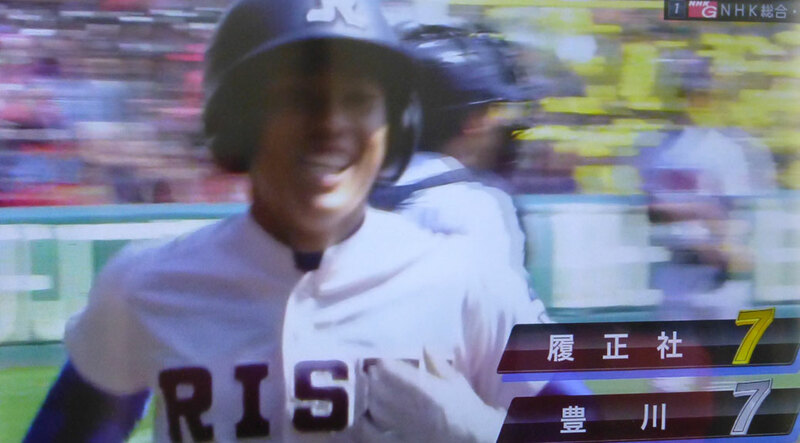 I’ve been watching Japan’s high school baseball championship tournament on NHK this past week. NPR just did a story on the American who initially brought baseball to Japan and mentions the championships in the article. Worth a read. I love baseball. As a kid, I loved playing it, whether organized as part of Little League or with a tennis ball in the street in front of our house. In the US, baseball takes a back seat to football and basketball at the high school and college level. Even Major League Baseball is less popular than the NFL and NBA in many parts of the country. In Japan, baseball is revered as the king it is. 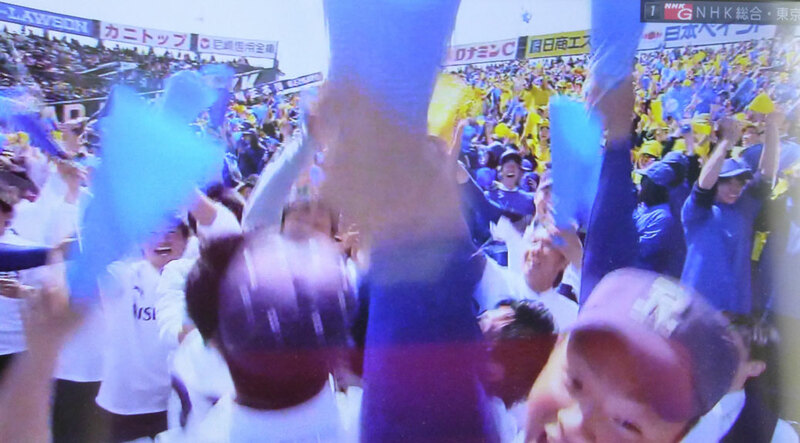 The Japanese professional league captures the heart of the country during baseball season. The country celebrates its stars who have made the jump to MLB. NHK is broadcasting Masahiro Tanaka’s debut with the New York Yankees live at 7:45 a.m. local time on April 5, 2014. I’m sure many around Japan will be watching. I’d watched a couple games of the high school tournament before I realized what I was watching. The atmosphere is electric, more reminiscent of a soccer match. I’d guess attendance at 15,000-20,000 people. Rhythmic music pumps from the stands, inciting the crowd… as if they need it. The spectators are a nonstop discharge of energy, chanting along to the music, banging together thundersticks and shaking pompoms. Speaking of pompoms, there are honest-to-goodness cheerleaders for each team. The Risei crowd celebrates a game-tying home run in the 9th inning. Post-game press conferences rival those of a World Series game. 16-year-old Japanese boys paraded in front of a room of waiting journalists, peppered with questions about their performance. Coaches look less like math teachers doubling as the baseball coach and more like grizzled veterans of the dugout. On this particular day, the team from Risei is battling the team from Toyokawa. 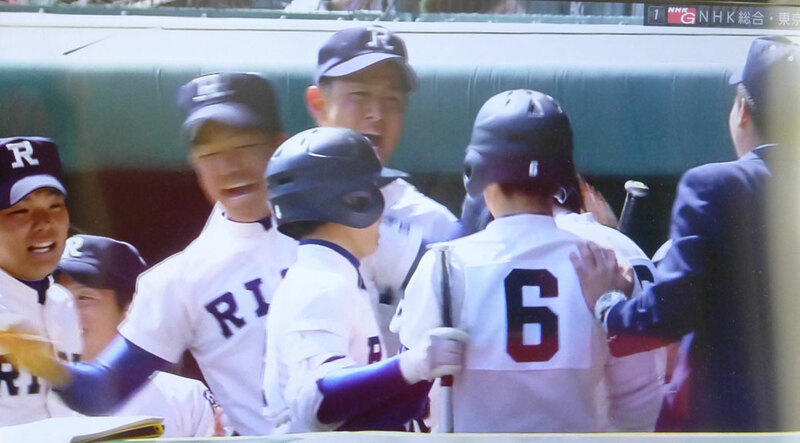 In the bottom of the 8th, Toyokawa explodes for five runs, coming back from a 6-2 deficit to take the lead. In the top of the 9th inning, a Risei batter slugs a solo home run to tie the game at 7-7. The crowd erupts! We’re momentarily reminded that these are kids as they laugh, cheer and slap the back of the hero of the day. Toyokawa melts down in the top of the 10th as walks and errors allow Risei to plate five runs of their own. Risei wins the game 12-7 in 10 innings. At the end of each game, the players line up across from each other, bow and shake hands. A sign of respect for themselves, their opponent on the day and to the game they love. The television cameras capture the players from god-like angles, playing up the drama of the game. On this day, they are bigger than life. They are baseball players. Wait until you see the Sumo Championships. We were looking at our Lonely Planet books last night and there are some places where you can go to see sumo matches. I think that’s on the bucket list now!